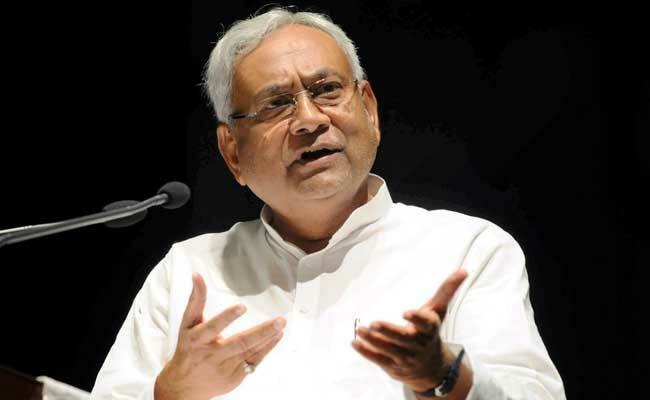 Chief Minister Nitish Kumar said that people of Bihar were likely to be swayed by the sentiment that "they have their own prime minister". upcoming Gujarat Assembly elelctions, saying that the people of that state were likely to be swayed by the sentiment that "they have their own prime minister". "I do not think there is any danger to the BJP in the Gujarat polls. This is my assessment. Will the people of the state vote against the party when it is likely to be at the back of their minds that they have their own prime minister?" he asked. "We ought to take these sentiments into account," he said on the sidelines of his weekly Lok Samvad programme. The JD(U) chief, however, side-stepped a query on Congress Vice President Rahul Gandhi showing a lot of aggression during his poll campaign in Gujarat. "I have seen him (Gandhi) in action for long. I am not aware of any new aspect that is being pointed out," he said. The JD(U) has decided to contest the Gujarat Assembly polls on its own and field candidates on a handful of seats. Mr Kumar, who is the national president of the JD(U), which shares power in Bihar with the BJP, was responding to queries about the Gujarat polls being touted as the "semi-final" to the 2019 Lok Sabha election. "A situation has arisen where elections are held in some part of the country every year and every such poll is deemed to be a semi-final. This will change only when parliamentary, assembly and civic body polls are held simultaneously, as was the case long time back," he said. Replying to a query, Mr Kumar said, "I am in favour of simultaneous polls (to Parliament and the state Assemblies). But that is not possible in the foreseeable future. Over the years, mid-term polls have taken place in many states which has upset the schedule." "A state, where the Assembly may not have completed its tenure by the time Lok Sabha polls are announced, is unlikely to agree to such a proposal," he added. "But this is a matter worth a national debate. The constitutional options must be explored." The 182-member Gujarat Assembly will go to the polls in two phases -- on December 9 and 14. The counting of votes will be taken up on December 18. Replying to another query, the JD(U) leader, who again joined hands with the BJP-led NDA in July, after severing ties with the saffron party in June 2013, made it clear that his party's stands on issues such as Ayodhya, Article 370 and a uniform civil code remained unchanged. "There has been no change in our stance on Ayodhya, Article 370 and a uniform civil code. Even on gauraksha (cow protection), I have had a talk with the prime minister, who agreed with me that strict action, in accordance with the law, should be taken against those who violate it," he said. Asked about his support to the Patidars' demand for reservation, a potent issue in the Gujarat election, Kumar said, "We have supported all such demands, whether they involved the Jats or the Marathas. My view is that an agrarian crisis lies at the root of such demands being raised by relatively better-off communities. A solution to the problem should be found keeping this backdrop in mind". On the issue of reservation to women, the JD(U) chief said, "It is a myth that giving reservation to women, before securing a separate quota for the women in the OBC and SC/ST categories, will lead to a lower representation of the women. Our experience in Bihar proves that. That is why our party had supported the Women's Reservation Bill in the Rajya Sabha, even though our then national president, Sharad Yadav, had objections."